Extreme weather events powered by climate change already have shown how rising seas threaten coastal communities: flooding and destruction of homes followed by widespread migration and resettlement. That’s horrible enough. But sobering new research suggests that many iconic symbols of the nation’s history also could be wiped out by rising waters. 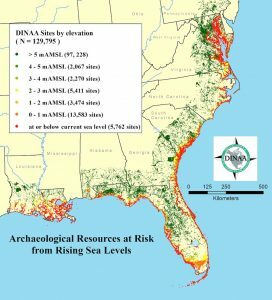 An estimated 13,000 archeological and historic sites, cemeteries and landscapes on the Atlantic and Gulf coasts of the southeastern United States, including places where Native Americans, early settlers, enslaved — and later freed — people lived, could be submerged in the next century, as well as more than 1,000 sites listed in the National Register of Historic Places, according to the study published in the journal PLOS ONE. 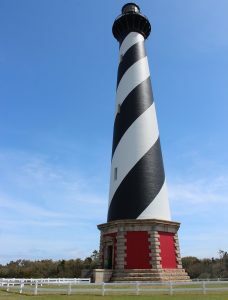 Structures in such cities as Charleston, S.C. and St. Augustine, Fla., as well as Jamestown, Va. — the first permanent English settlement in the Americas — the Kennedy Space Center, and even the recently relocated Cape Hatteras Lighthouse, could be threatened by relatively minor increases in sea level of 1 to 3 meters, according to researchers. Moreover, should the sea rise to 5 meters, the number would increase to an estimated 32,000 properties, in addition to 2,400 in the national register, the study said. Also, many more as yet unrecorded sites could disappear. Scientific evidence indicates that the seas will rise at least 1 meter over the next century, and as much as 5 meters or more in the centuries that follow, if current trends continue. More than 40 percent of the world’s people live within 100 kilometers of a coastline. 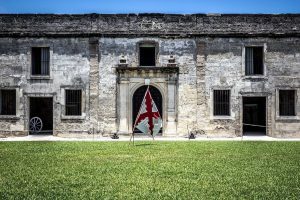 The scientists analyzed data from the Digital Index of North American Archaeology (DINAA), which compiles information developed over the past century from numerous sources. 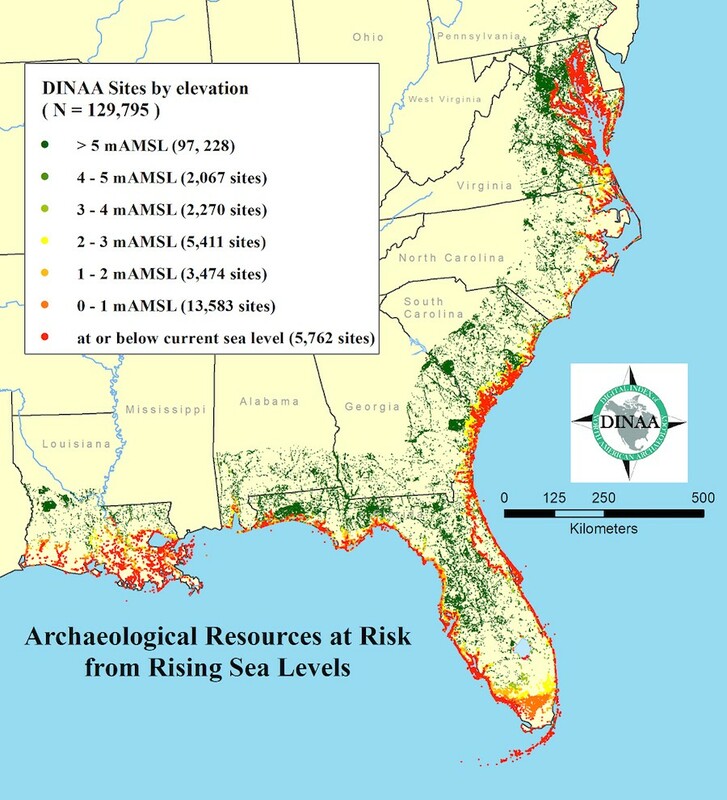 They calculated the number of sites that would be submerged by determining the elevation above mean sea level for all of the sites in DINAA, and from other databases such as the National Register of Historic Places. The work spans the area from Maryland to the Texas-Louisiana border. Archeology has long been trying to integrate information about historic properties at large scales, but the field only recently developed programming and computer capability to gather vast amounts of data and display them easily and effectively, Anderson said. It is also important that citizens themselves come to appreciate the trove of important historic knowledge inherent in the endangered sites. 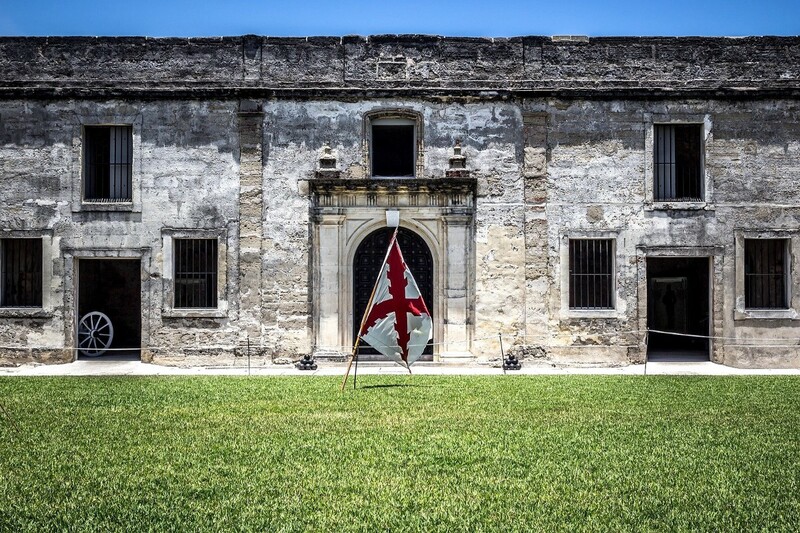 “You need to know about something to care about it, and right now very few people know about the depth and richness of the archeological record that surrounds them,” said Eric C. Kansa, a study co-author and director of Open Context, an archeology data base. Originally published by NexusMedia under the terms of a Creative Commons’ Attribution-NoDerivs 3.0 Unported license. This entry was posted in Archaeology, Climate Change, History. Bookmark the permalink.